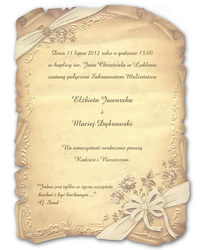 The invitation is in the style of old parchments, decorated with an eye-catching embossing and gilding on the edges. 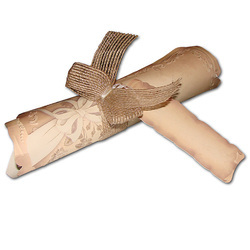 The paper is delicately textured, with printed flowers and leaves in the background. 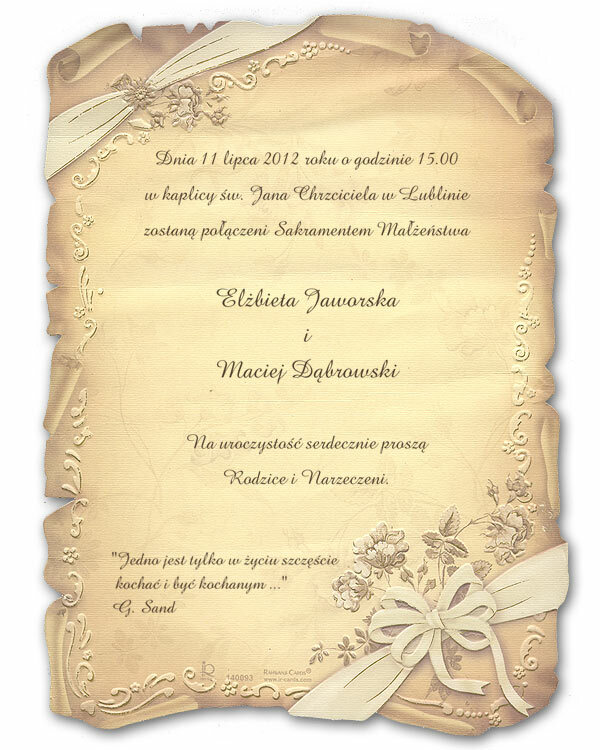 The whole invitation is beige and light brown. 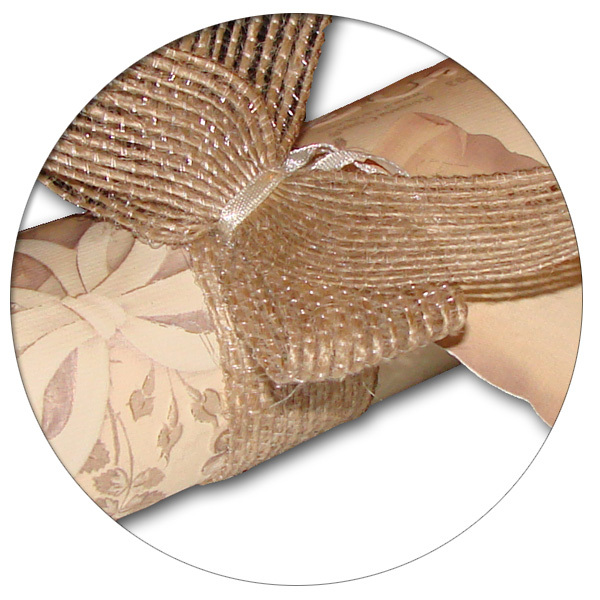 A band of beige string is wrapped around the scroll.